A Bangladeshi court Wednesday issued an arrest warrant for opposition leader Khaleda Zia for failing to attend hearings on graft charges, amid fears the move will worsen weeks-long deadly political turmoil. Judge Abu Ahmed, from a special anti-corruption court, issued the warrant against her for failing to attend even though Zia has been "confined" to her office since January over the turmoil, her lawyer Sanaullah Miah said. "There is no justice in the country," Miah told reporters outside the court in the capital Dhaka. Zia is charged with embezzling $650,000 in two corruption cases dating back to her time as premier in 2001-2006 that could see her jailed for life if found guilty. The former two-time premier has been holed up in her office since early January, when she called on her supporters to enforce a nationwide transport blockade to try to topple the government of her bitter rival Prime Minister Sheikh Hasina. The protests have unleashed deadly violence across the country leaving more than 100 people dead, with opposition supporters firebombing hundreds of buses and trucks and police responding by firing live rounds. 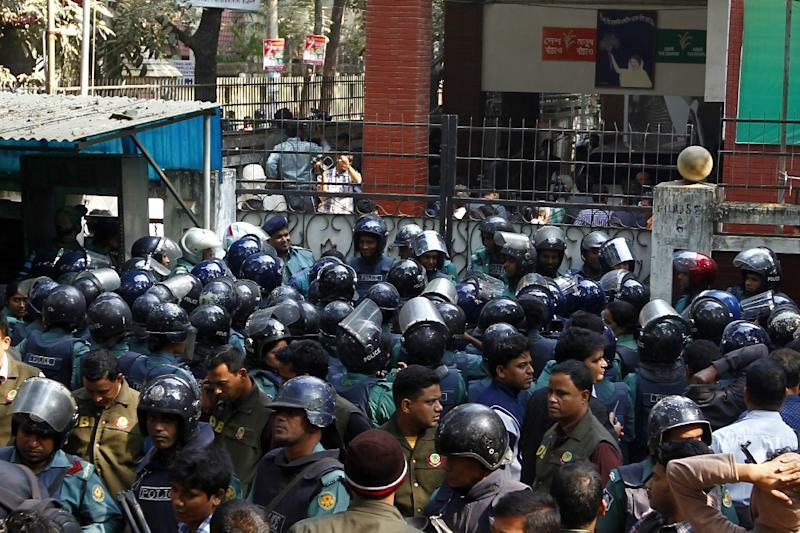 Over 10,000 opposition supporters and dozens of senior officials from Zia's Bangladesh Nationalist Party (BNP) have been arrested as part of a crackdown by Hasina to end the unrest. Zia leads a 20-party opposition alliance which is demanding a fresh general election after boycotting last year's poll on the grounds it would be rigged. The BNP reacted sharply to the court's order, saying it was "pre-planned and orchestrated by the government". "The arrest warrant was issued to suppress our ongoing movement. But it won't work. It will be counterproductive and will enhance our supporters' resolve," BNP spokesman Sayrul Kabir Khan told AFP. Lead prosecutor Mosharraf Hossain told AFP Zia "could now be arrested anytime" if she failed to secure bail from the court again. He ruled out any "vendetta" or political motive behind the warrant saying the court "had no choice but to issue the arrest warrant" after Zia failed to attend on some 56 previous occasions. "They did not take the case seriously and are now paying the price," he said, adding the court has set March 4 for the next hearing. But Zia's lawyers cited what they called her confinement for not showing up as well as security concerns, following clashes between supporters of the BNP and Hasina's Awami League when she attended in December. Scores of police officers are surrounding Zia's office and preventing visitors from going inside, although the former premier herself has not attempted to leave for several weeks. 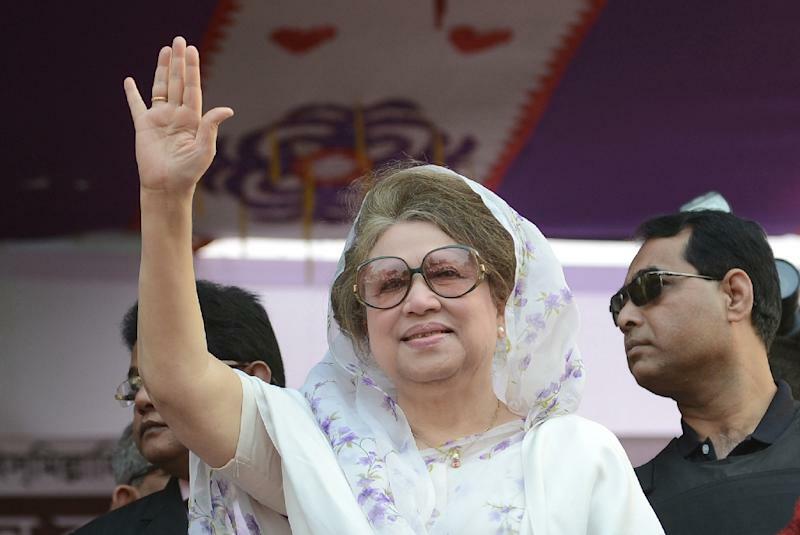 Zia and three of her aides are accused of syphoning off 31.5 million taka (about $400,000) from a charitable trust named after her late husband Ziaur Rahman, a former president who was assassinated in 1981. She is also accused of leading a group of five people, including her eldest son and heir apparent, in embezzling 21.5 million taka -- funds which were meant to go to an orphanage set up in memory of her late husband. Zia has called the embezzlement charges politically-motivated and aimed at destroying her party. The opposition leader also faces at least four unrelated charges over the ongoing violence. 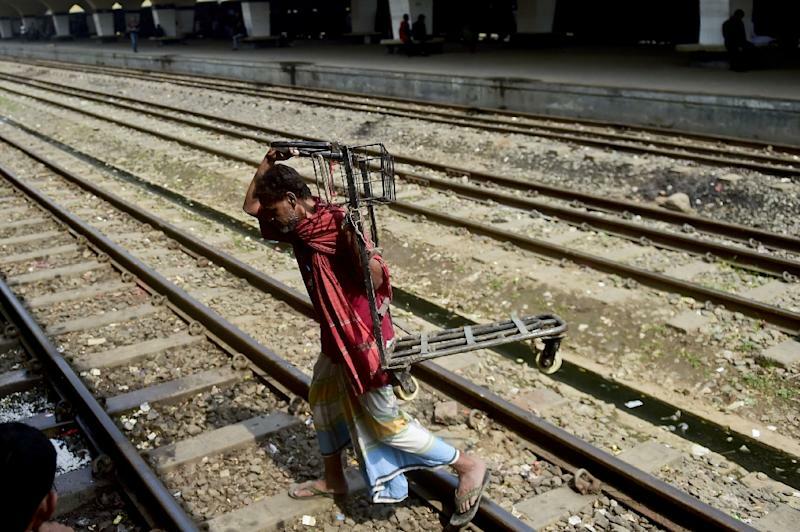 The United Nations and the European Union, Dhaka's biggest trade partner, have urged the government and the opposition to hold talks to end the crisis. But the standoff appears set to continue, with the two leaders refusing to talk. Hasina has accused Zia of unleashing the protests in order to delay the graft trials against her.